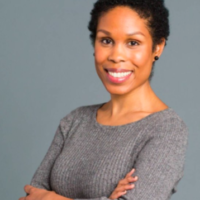 Dr. Uché Blackstock is an assistant professor in the Department of Emergency Medicine at NYU School of Medicine. Dr. Blackstock received both her undergraduate and medical degrees from Harvard University. She completed her Emergency Medicine residency at SUNY Downstate/Kings County Hospital in 2009, where she also served as Chief Resident. She went on to complete an Emergency Ultrasound fellowship at St. Luke’s-Roosevelt Hospital in 2010. Currently, Dr. Blackstock is the Co-Director of the Emergency Ultrasound fellowship in the Department of Emergency and Director of the UME Ultrasound Curriculum at NYU School of Medicine. In 2011, Dr. Blackstock was awarded a Program for Medical Education Innovations and Research (PrMEIR) grant to support her research study, A Bedside Ultrasound Simulation-Based Curriculum for Medical Students on the Department of Emergency Medicine Elective and Selective Rotation. Dr. Blackstock published the results of her study in Journal of Clinical Ultrasound and used her work as a stepping stone to developing an integrated ultrasound curriculum at NYU School of Medicine. Since 2012, she has been a leader in integrating bedside ultrasound teaching into the pre-clerkship and inter-clerkship intensive curriculum. Her medical education interests lie in developing competency standards and assessments for bedside ultrasound. Currently, Dr. Blackstock resides in her hometown of Brooklyn, NY with her husband, Chris Rose, and their son, Cameron.